Local graduating seniors are urged to apply for scholarships given by the women's club. Applications can be downloaded from the link above. In 1902, the club began with an invitation from Mrs. Laura Parkins to a group of interested women. Sitting at her "round table", they soon formulated a constitution that declared the organization's purpose, "to cultivate literary pursuits". Members arrived at their monthly meetings by horse and buggy, dressed in their Gibson Girl fashions complete with boned corsets. During the initial years, club programs centered on serious topics such as "ancient and modern Greece". Members were assigned to research and present the information to other members. 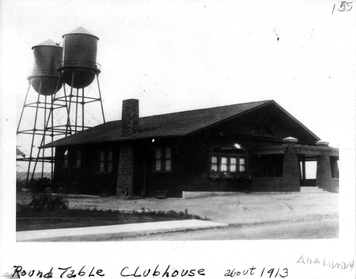 When the original membership outgrew the "round table" in Mrs. Parkins' home, they had a new clubhouse built, with the help and support of A. S. Bradford and other husbands, on the corner of Bradford and Chapman Avenues. 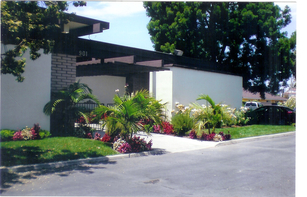 TODAY, A modern Round Table Clubhouse is now located at 901 N. Bradford Ave. in Placentia. The Clubhouse also serves as an important rental venue in the city for other clubs and individuals to hold special events. The purpose of the Round Table has also changed. Today's Round Table is a nonprofit philanthropic organization whose main focus is on service to the community. The club sponsors three main fundraising events each year. Beginning in October, the club sells soup packages. After Thanksgiving, the Club has its annual holiday luncheon and Festival of Trees. Winners of the event's raffle receive one of the many beautifully decorated trees displayed at the luncheon. In the spring we have fun at the Hop to It Bunco Bash! Some local groups that receive gifts, money, or grants from these fundraisers are Christmas Clearing Bureau (which we founded); Boys and Girls Club; Homeless Intervention Shelter (H.I.S. House), and The Women's Transitional Center. In addition, the Placentia Round Table supports other community organizations such as the library, local fire and police departments, the Chamber of Commerce, and Founders Society with grants, equipment, and volunteer hours. We also have a jackets and shoes program which donates items to needy children. Many scholarships are given to local high school students. Some of the money raised is given to other service organizations such as the Red Cross, Veterans, Canine Companions, Salvation Army, MADD, Ronald McDonald House, to name just a few. The Placentia Round Table Women's Club is affiliated with the worldwide Federation of Women's Clubs as well as the California and Orange District organization. Please contact us if you are interested in learning more about the Placentia Round Table Women's Club.